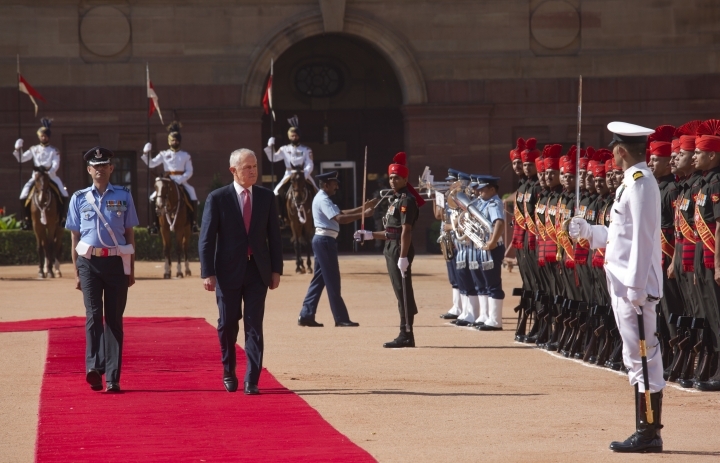 NEW DELHI — Australia said Monday that it was ready to export uranium to India, nearly three years after the two countries signed an export deal for peaceful power generation. 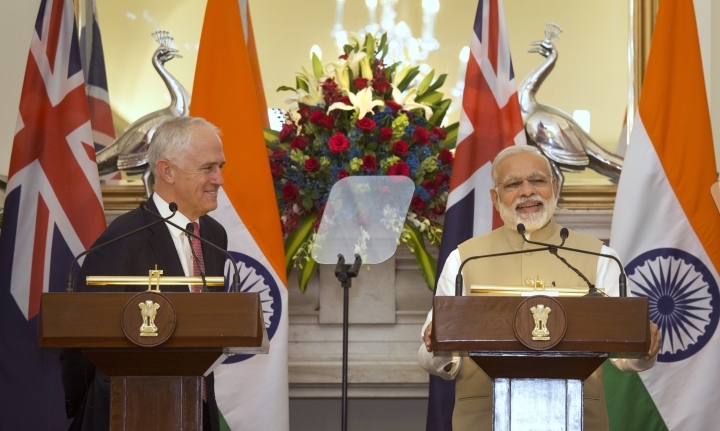 At a joint news conference in New Delhi with Australian Prime Minister Malcolm Turnbull, Indian Prime Minister Narendra Modi said that cooperation between the two countries in the energy sector, including renewable energy, was on the upswing. 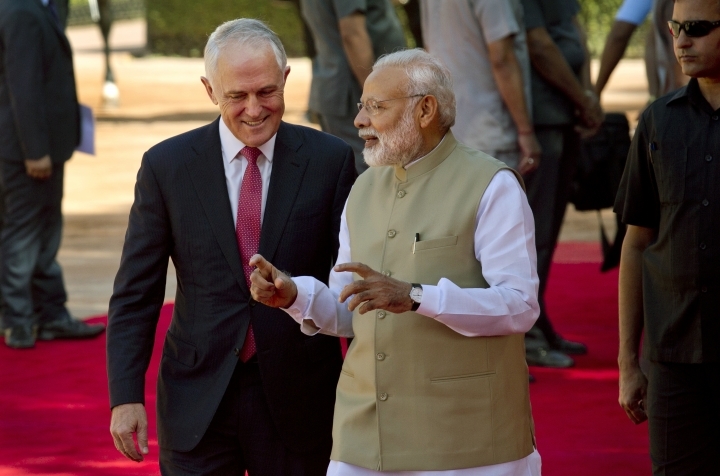 Turnbull said Australia was looking forward to the first export of Australian uranium to India as soon as possible. "We have worked closely with India to meet our respective requirements for the provision of fuel for India's civil nuclear program," he said. India has more than 20 nuclear reactors in operation. Modi has promised to provide power to the entire country by 2019 and needs uranium imports to fuel India's nuclear power plants. Around 400 million Indians still have no access to electricity. 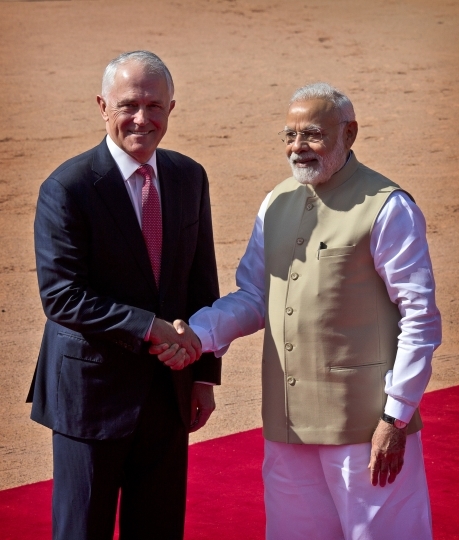 India and Australia signed agreements Monday on cooperating to combat international terrorism and transnational organized crime, as well as working together in areas such as the environment, climate, wildlife and civil aviation security. Details were not immediately available. Turnbull said that two-way trade in goods and services last year was nearly $20 billion — more than double of what it was a decade ago. He said, however, that it was a fraction of what it should be. "Now we are working with India to secure timely conclusion of a quality Regional Comprehensive Economic Partnership, which would provide a significant boost to regional confidence," he said. Modi said the future of the two countries was deeply tied to peace and stability in the Indo-Pacific. "We therefore agree on the need for a secure and rule-based Indo-Pacific," he said. "We are also aware that in this globalized world, challenges like terrorism and cybersecurity extend beyond the boundaries of our region." The two leaders also inaugurated a research center on nano and bio technology. Modi described it as a classic example of the kind of cutting-edge science and technology cooperation that was happening between the two countries. 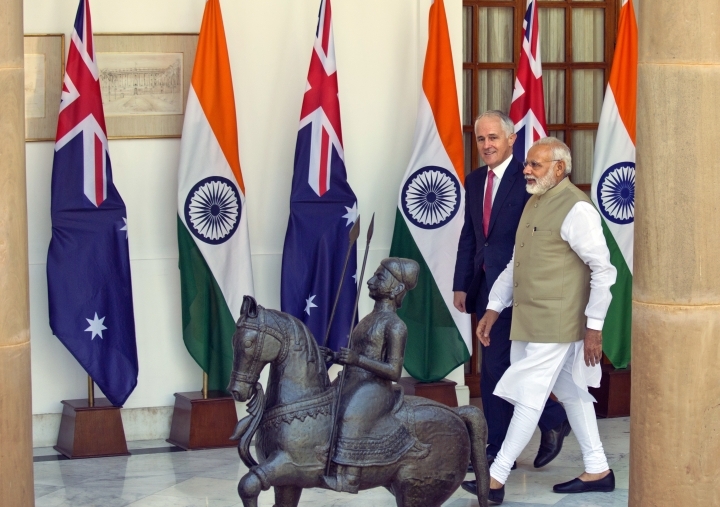 "The Australia-India Research Fund of nearly $100 million has focused on collaborative research projects in the areas such as nano-technology, smart cities, infrastructure, agriculture and disease control," he said. 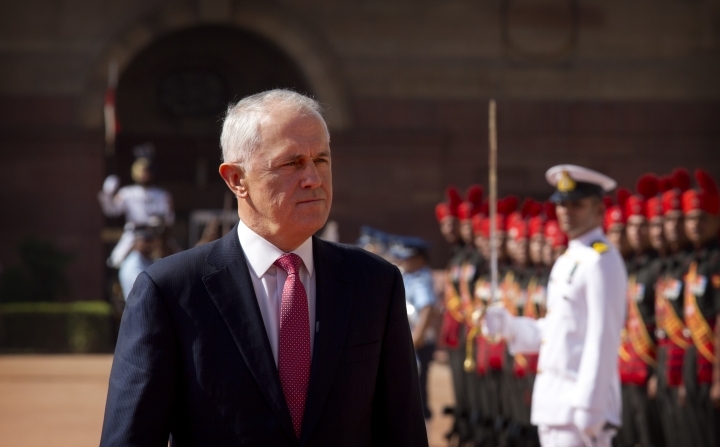 On Tuesday, Turnbull will visit Mumbai, India's financial and entertainment capital, before flying to Sydney, according to India's External Affairs Ministry.